Grease a 12-inch round baking pan (even non-stick). Beat butter, oil, sugars, egg, and vanilla for one minute to combine. On low speed, add flour, baking soda, and salt. Spread or pat dough onto baking pan. It's best to keep dough in the center thinner so it bakes evenly. Bake 9 to 10 minutes. Cool and slice into wedges. Note: For the whole wheat version, use 3/4 cup all purpose flour + 1/2 cup whole wheat pastry flour. 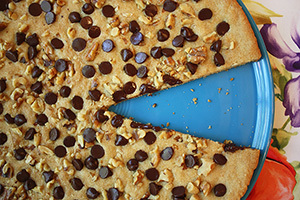 17 Comments on "Chocolate Chip Pizza"
Hi Jenny, Could I make this cookie pizza in a 10 in springform pan? I’m enjoying your recipes! Thanks! Can you tell me the brand name of the clear plastic measuring cups and spoons you used in the video to demonstrate the recipe? I’ve been looking for a similar set since I originally saw them in your video and haven’t had any luck. Please let me know, I’d appreciate it! I’ve had them for too long to remember where I got them and they have no markings. Hi Jenny, I plan to use just flour for this recipe. Also, how much butter would I need to use if I want to make them just using butter? I’m not sure but you can use any sugar cookie recipe and make it big like this one. It’s always better to use a proven recipe. I didn’t have any chocolate chips on hand, so I tossed in a few butterscotch chips instead. This is another delicious recipe Jenny. I’m sure it’s even better with chocolate chips. I’ve tried several of your recipes now and have enjoyed all of them. It’s so nice to have found a site where I am confident the recipes will all turn out great. Can I substitute all the fat for coconut oil or melt 1/4 cup of the coconut oil in replace for the normal oil and not melt the coconut oil in replace for the softened butter. For the best result I would suggest only replacing the oil with melted (& cooled) coconut oil and include the butter as is. 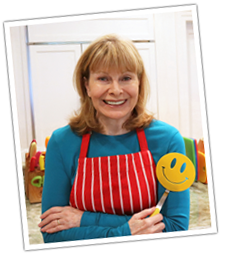 Hi jenny I just wanted to say that I love all of your recipes I’ve tried so many of them and they are just great thank you for sharing them all. Made this two days ago and it was great even without the nuts…will probably make again soon! Thanks for sharing, your videos are great! 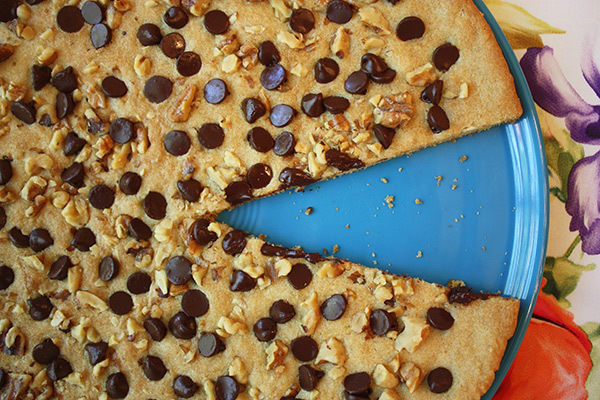 I’m really interested in making this Chocolate Chip Cookie to wow my friends next week. I think this recipe is great, surprising, and funny! What should I ask more? Yet I was assuming that I could use some oats instead of 1/2 cup of whole grain pastry flour to have a more country side flavor. What do you think? It’s always good to try a recipe as it is for the first time but adding oats should work. You want the dough to be soft enough to spread. 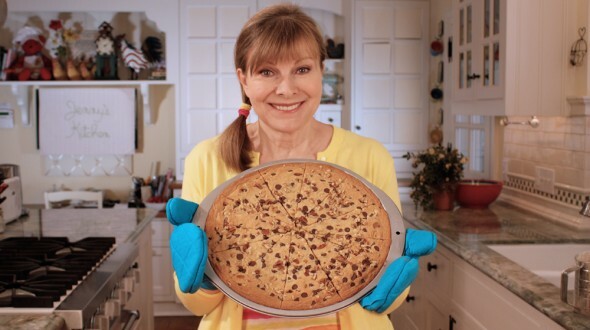 I often make oatmeal chocolate chip cookies but the batter is thicker and I don’t believe it would spread easily on the large pan. So I might try using one cup of flour and 1/2 cup of oats to start. If it’s too thin you could stir in more oats or flour, and if too thick, you could add a bit of water. Please let us know how it turned out and good luck.